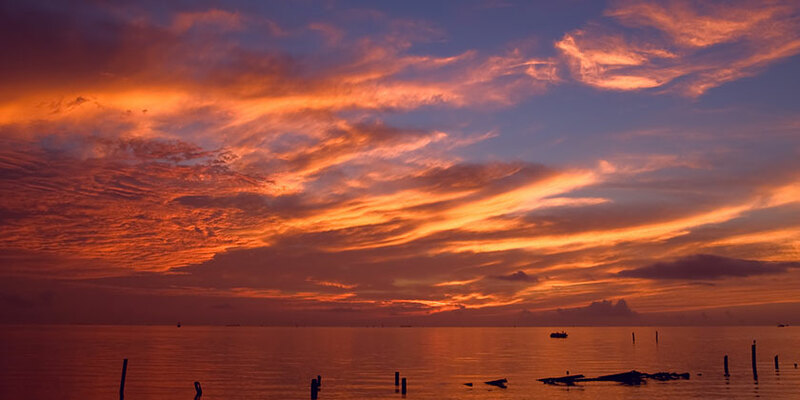 Located in the Gulf of Mexico off the East Coast of Texas, South Padre Island offers visitors a number of beaches and fishing, boating, and other water-based activities. During your South Padre Island vacation, discover horseback riding, deep sea fishing, and beachside relaxation. Visitors on South Padre Island can bicycle, play tennis, golf, and enjoy a wide variety of water sports. You can also visit the Dolphin Research & Sealife Nature Center, which is an observatory that allows visitors hands-on experience with bottle-nosed dolphins and other sea creatures. Or explore Gravity Park on South Padre Island, an amusement facility that boasts the world’s tallest reverse bungee, a trampoline, go-carts, and more.